Today’s card was pretty quick and easy to make! I made this card for my friend Jennifer McGuire, who was so kind as to send me a Kindness box full of goodies. (Click to learn more about her Share Handmade Kindness Project). Here is the box she sent me. The only stamping I did was the sentiment, the rest was all die cutting. I LOVE die cutting, it’s one of my favorite techniques, which is apparent by my die collection!) I used the bright colors because it reminds me of Jennifer’s personality, bright, cheerful, thoughtful and kind! Very cute and clean!!! Love the colors too!! 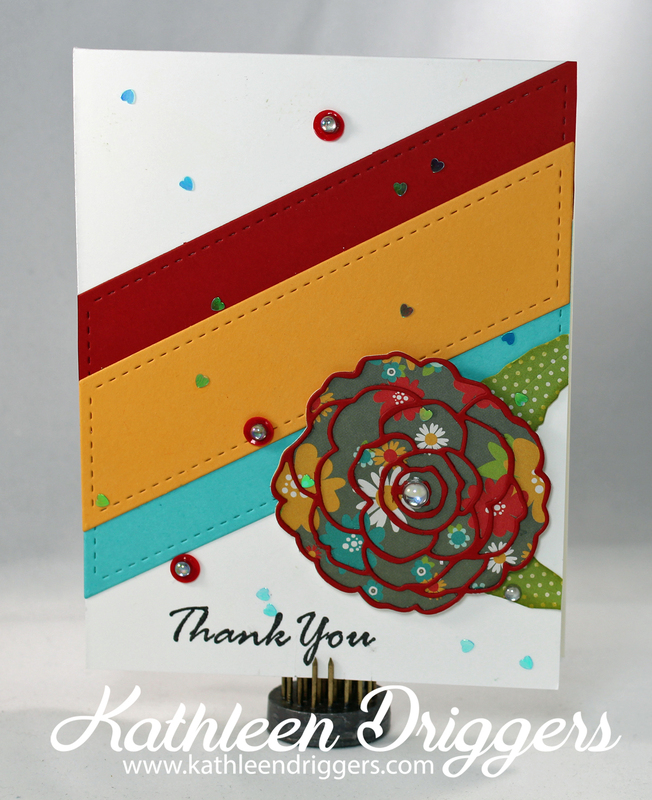 Kathleen, I love the colors and design of this card! So pretty! TFS! great card Kathleen! How do you get the pretty red around the edges of the flower? You are definitely a stamping enabler! 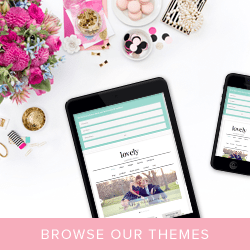 Every time I visit your blog to see your latest creation, I check out the supply list and have to order something you’ve used. 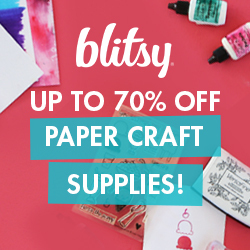 I’m not complaining, my craft stash is growing. Very pretty card. Love your colors.